Western-Traveler is dedicated to primarily outdoor destinations, but once in a while I find an interesting non-wilderness site worthy of note, and visiting. Such is the case for the Frazier International History Museum in downtown Louisville, Kentucky. While spending a week in Derby City I heard about nowhere else except the Frazier from the locals. Located near the Kentucky Performing Center for the Arts, the Louisville Science Center, the Kentucky Slugger Museum and within easy walking distance of 4th Street LIVE, this facility offers the most in-depth display I’ve ever seen of everything in the world of armament. The moment you walk through the glass doors you know you’re in a very special place. 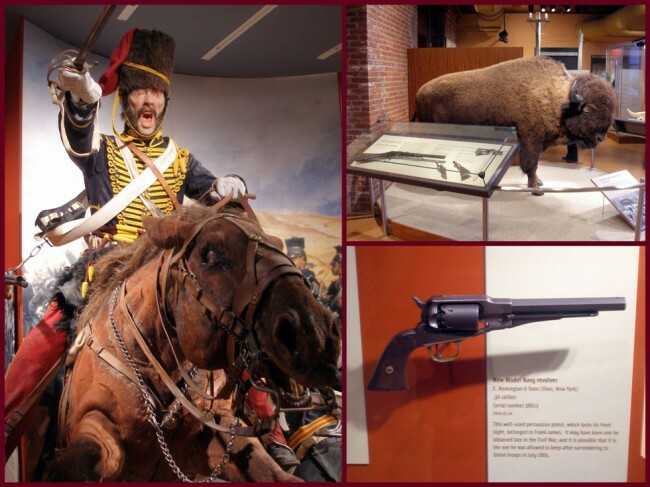 The staff is courteous, the museum well-designed, and the assortment of weaponry too vast to even begin to try and describe. 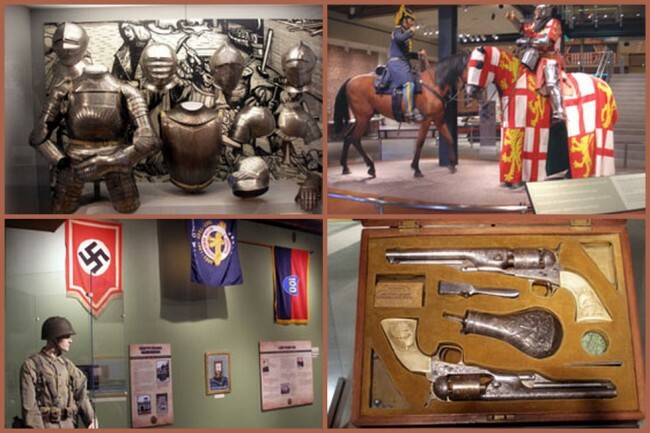 You’ll find everything from medieval armor to World War II paraphernalia. The exhibits are extensive, with excellent accompanying narratives, both written and oral. They’re placed in appropriate contexts with historically accurate materials. 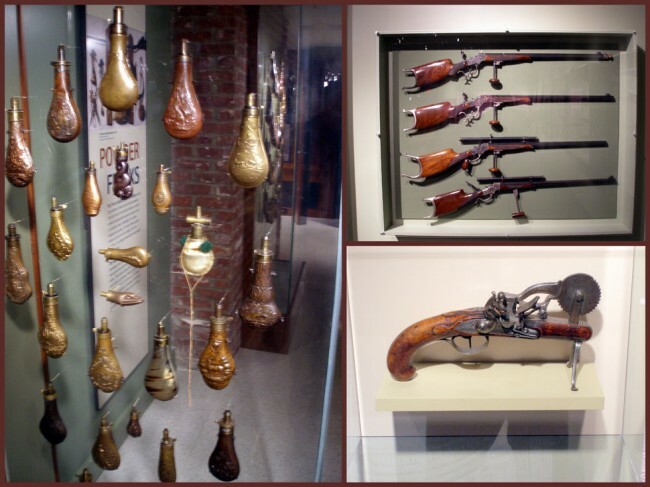 I particularly enjoyed the period costumes which were placed alongside weapons of the period. 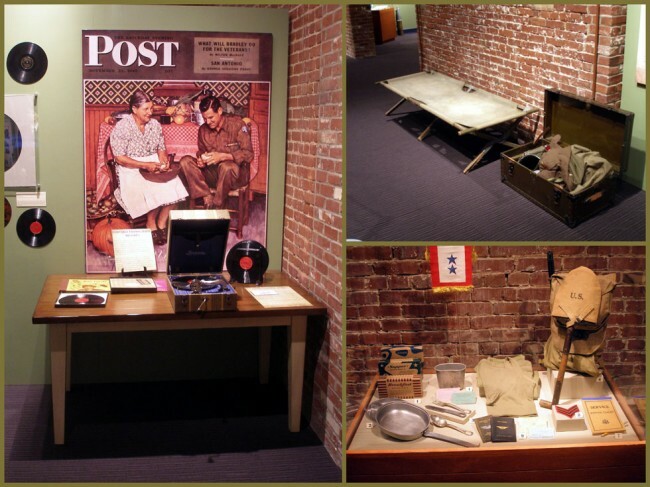 Additionally, the exhibits were filled with non-military artifacts from the each period, adding a wonderful flavor to the entire experience. If you decide to visit the Frazier, give yourself the better part of the day to do so, otherwise you’ll have to cut your visit short and miss out on some remarkable displays. To get there is simple too, in my case I merely walked down Main Street from my hotel, only a few blocks away. If you’re driving in, just go to their website http://www.fraziermuseum.org/ and get directions. There is parking convenient to the museum, and they do cater to groups with special rates. Their gift shop is top-notch as well with souvenirs for any budget. Lastly, make sure to visit their website before visiting as they’re constantly offering new exhibits and programs. This is one of the few places that I’ve found that actually offers world-class interpretation (meaning lectures and guided tours) for the general public as part of the general admission. If you’re into history at all, go visit the Frazier. You won’t be disappointed.